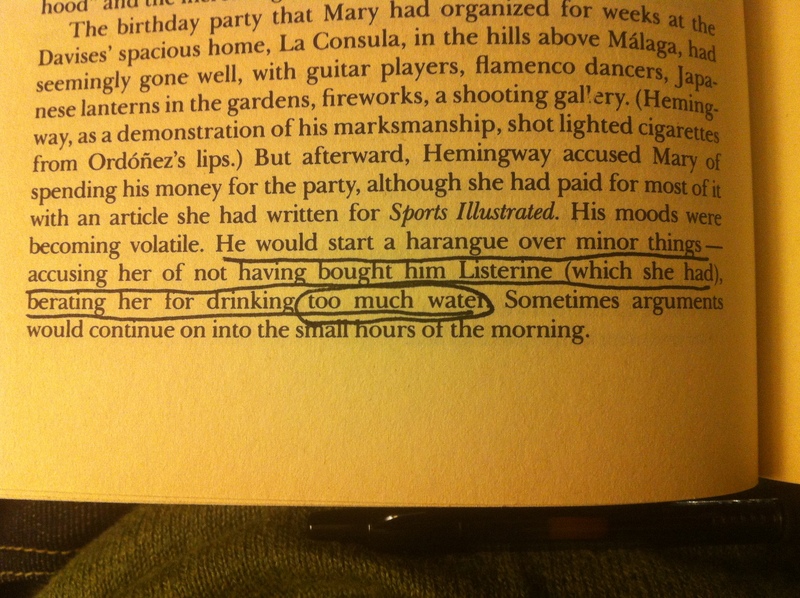 In a 1935 Esquire piece, Hemingway, already playing the preening dickhead, gives some writing advice that I think is clear-eyed and well-expressed. 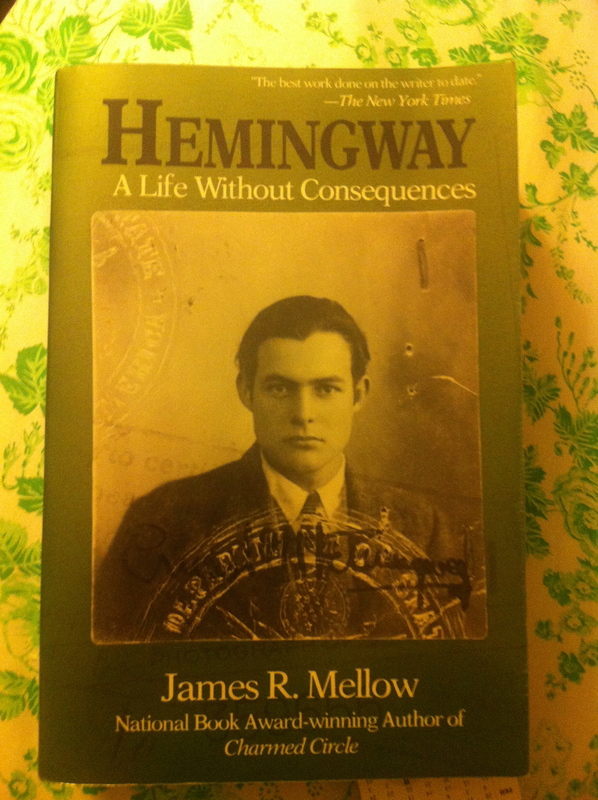 The setup is a young man has come to visit him in Key West, and Hemingway has given him the nickname Maestro because he played the violin. Y.C. : Watch what happens today. If we get into a fish see exact it is that everyone does. If you get a kick out of it while he is jumping remember back until you see exactly what the action was that gave you that emotion. Whether it was the rising of the line from the water and the way it tightened like a fiddle string until drops started from it, or the way he smashed and threw water when he jumped. Remember what the noises were and what was said. Find what gave you the emotion, what the action was that gave you the excitement. Then write it down making it clear so the reader will see it too and have the same feeling you had. Thatʼs a five finger exercise. Mice: All right. Y.C. : Then get in somebody elseʼs head for a change If I bawl you out try to figure out what Iʼm thinking about as well as how you feel about it. If Carlos curses Juan think what both their sides of it are. Donʼt just think who is right. As a man things are as they should or shouldnʼt be. As a man you know who is right and who is wrong. You have to make decisions and enforce them. As a writer you should not judge. You should understand. Y.C. : Listen now. When people talk listen completely. Donʼt be thinking what youʼre going to say. Most people never listen. Nor do they observe. You should be able to go into a room and when you come out know everything that you saw there and not only that. If that room gave you any feeling you should know exactly what it was that gave you that feeling. Try that for practice. When youʼre in town stand outside the theatre and see how people differ in the way they get out of taxis or motor cars. There are a thousand ways to practice. And always think of other people. Mice: Do you think I will be a writer? Y.C. : How the hell should I know? Maybe youʼve got no talent. Maybe you canʼt feel for other people. Youʼve got some good stories if you can write them. Mice: How can I tell? Y.C. : Write. If you work at it five years and you find youʼre no good you can just as well shoot yourself then as now. Mice: I wouldnʼt shoot myself. Y.C. : Come around then and Iʼll shoot you. This article is behind a paywall at Esquire but I found it reprinted on the website of Diana Drake, who has story by credit on the film What Women Want. 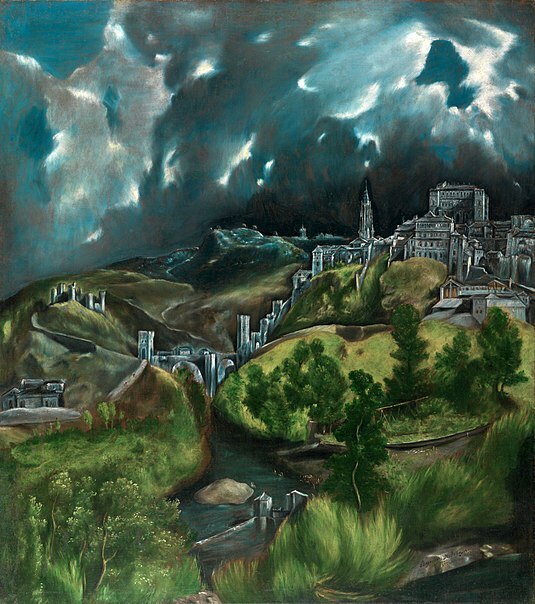 We came to El Greco’s green “View of Toledo” and stood looking at it a long time. 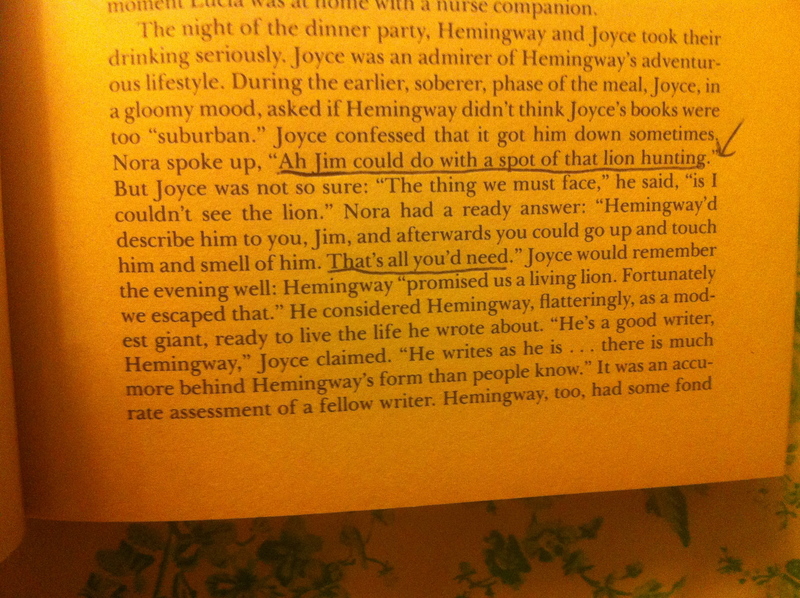 “This is the best picture in the Museum for me, and Christ knows there are some lovely ones,” Hemingway said. One day, Cézanne was caught in a storm while working in the field. Only after working for two hours under a downpour did he decide to go home; but on the way he collapsed. He was taken home by a passing driver. His old housekeeper rubbed his arms and legs to restore the circulation; as a result, he regained consciousness. On the following day, he intended to continue working, but later on he fainted; the model with whom he was working called for help; he was put to bed, and he never left it again. He died a few days later, on 22nd October 1906. He died of pneumonia and was buried at the old cemetery in his beloved hometown of Aix-en-Provence. 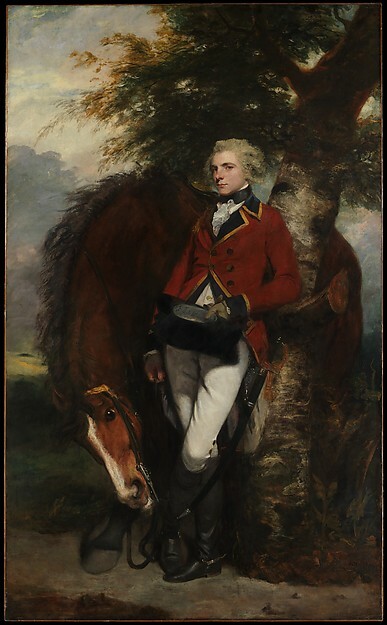 Coussmaker sat for Reynolds 21 times and his horse 8 times between February 9 and April 16, 1782 – an exceptional number of times. – from Miss Ross again. “Here’s what I like, Papa,” Patrick said, and Hemingway joined his son in front of “Portrait of Federigo Gonzaga (1500-1540) by Francesco Francia. It shows, against a landscape, a small boy with long hair and a cloak.